I wanted to share a simple meal we had this week. Though this general type of meal is pretty typical for us, I particularly enjoyed this one. We prepared extra of everything, which means dinner is ready to heat for another night this week. 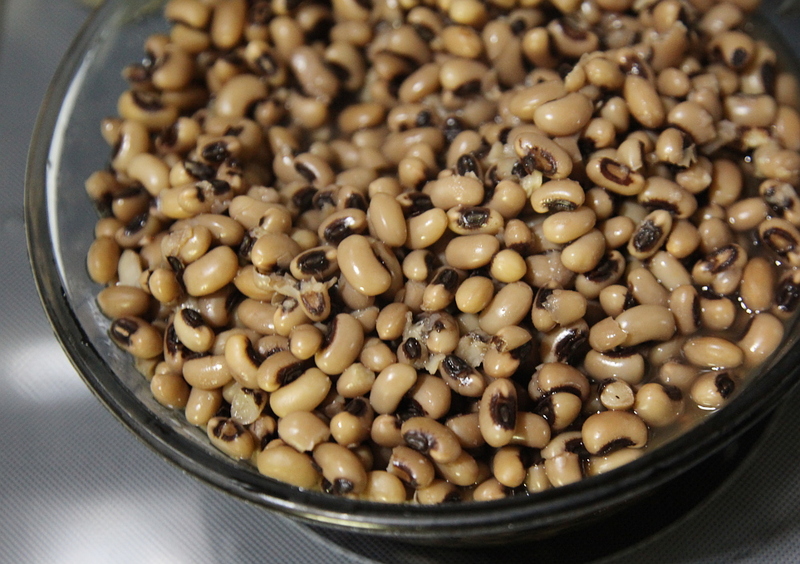 Black eyed peas cook relatively quickly (about 1 hour or less) and don’t need to be soaked ahead of time. I think they would make a great burrito filling substitute, for the usual pintos or black beans. 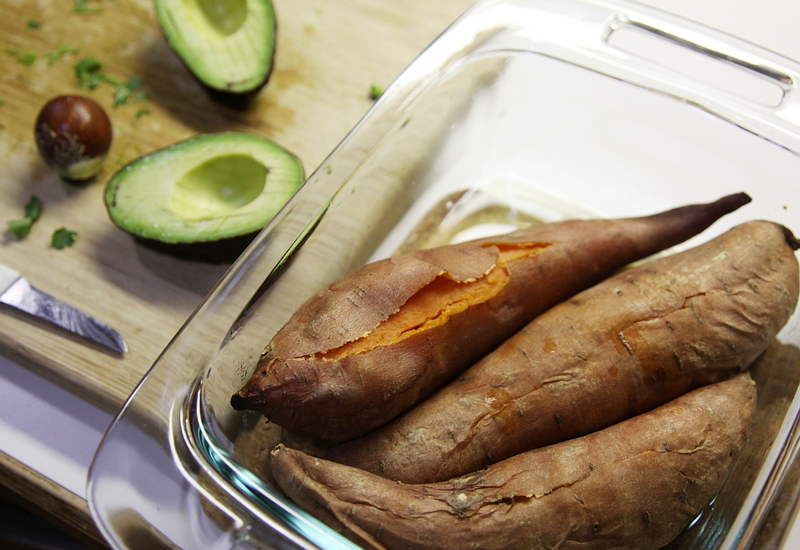 We recently discovered that baking yams with the lid ON the bake dish results in a perfectly moist, amazingly soft yam every time. It also makes cleanup super easy, as the sugars remain liquid and don’t cook to the pan. This time of year (every time of year?) I can’t seem to get enough kale. 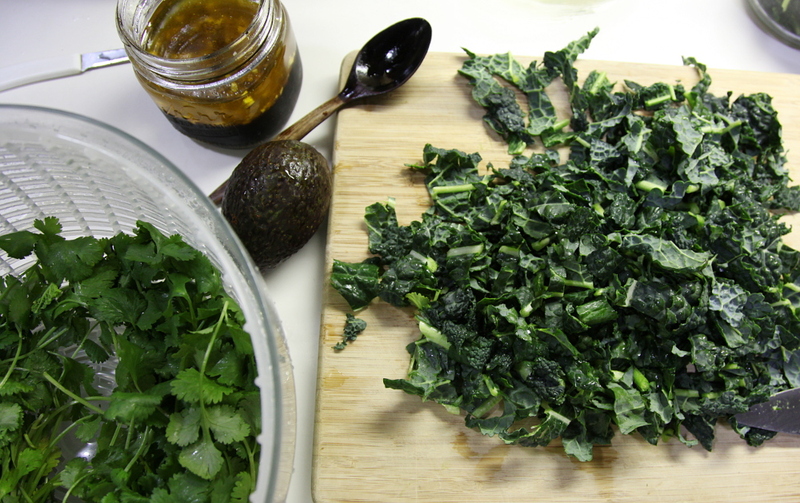 I prefer to eat kale raw and usually massage it in olive oil (wash and chop your kale, drizzle with oil and then (with very clean hands) “massage” (squeeze) the greens). 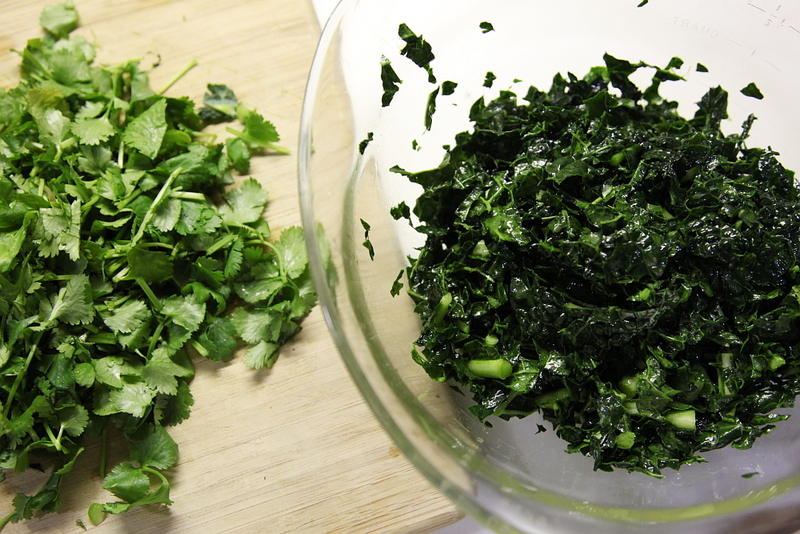 The color will deepen quite a bit, and it’s a great way to soften tougher greens and infuse them with quality raw oils. I then added a full bunch of cilantro, and drizzled homemade vinaigrette on mine as well (chopped garlic, olive oil, apple cider vinegar and tamari). 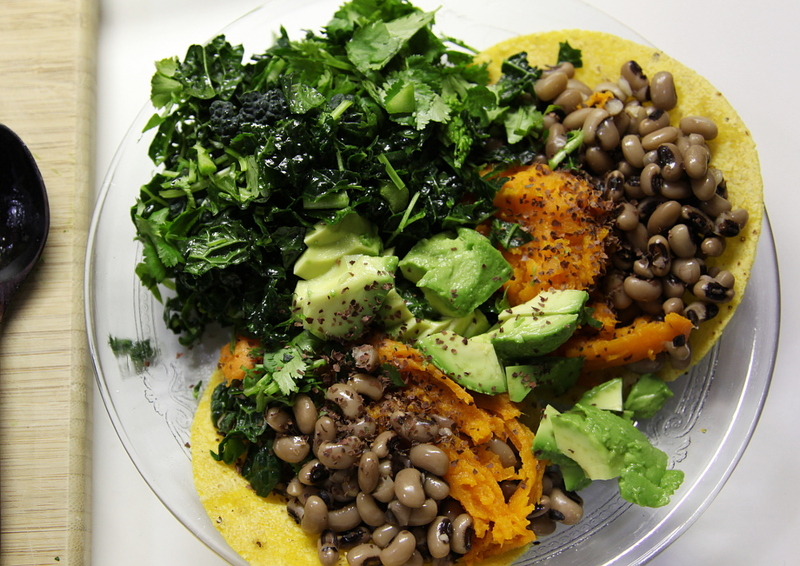 We covered a couple sprouted corn tortillas with some beans and yam, and topped them with avocado and a generous sprinkling of dulse. I felt like the combination of foods, flavors, textures and colors created the perfect balance. My body felt so content and nourished by this meal. I’m curious, what are some of your favorite meals to cook at home? Anything stand out lately? That torte I mentioned yesterday… it was delicious. And the best part is, there are leftovers. I was first introduced to the idea of a torte last summer, by Erin of bluebirdbaby (and yes, that is an infusion rucksack shown there!). A torte is super easy to make, and the possible variations of what to include are limitless. Mine are never traditional, if there is such a thing, but it is hard to go wrong with layers of roasted vegetables, herbs and cheese. 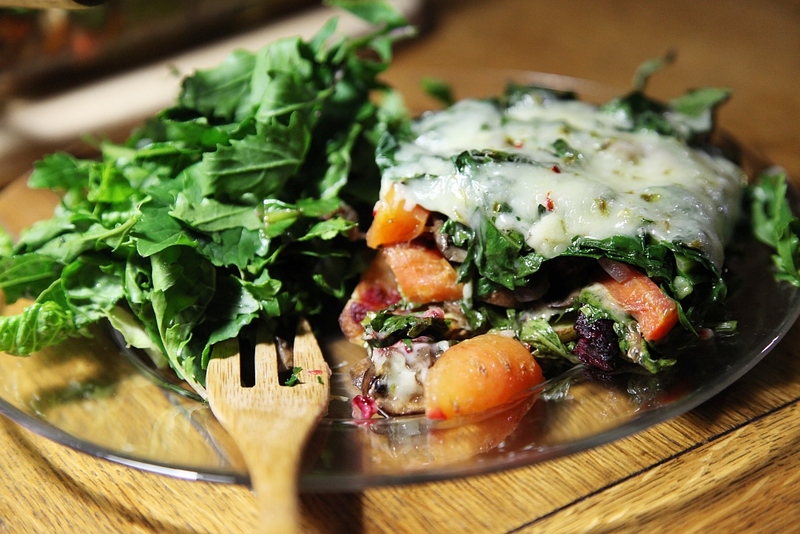 This one included potatoes, carrots, beets, mushrooms, kale, arugula, red onion and cheese, with thyme and dill. 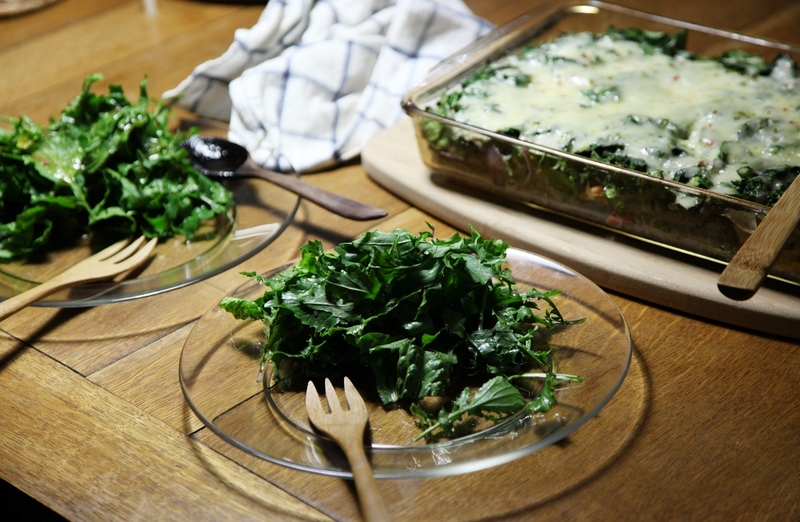 Do you have a favorite recipe that uses lots of kale? 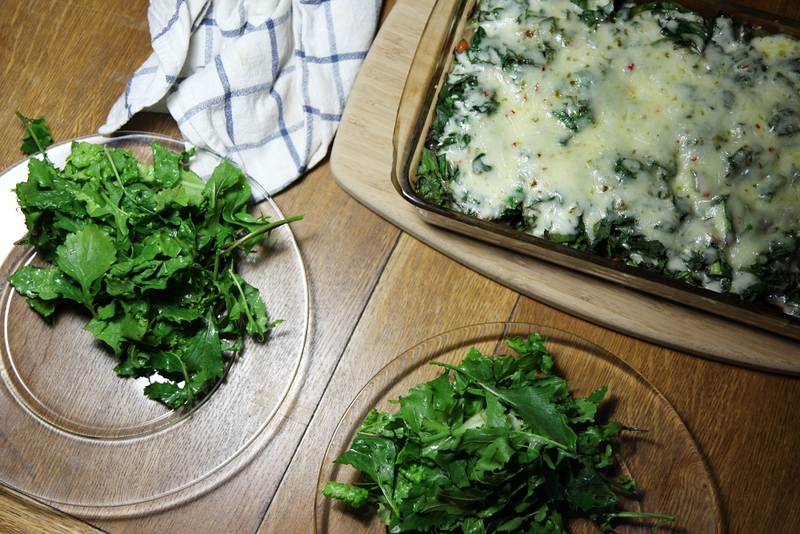 We have a lot of kale and sometimes I get stuck on how to creatively use it. 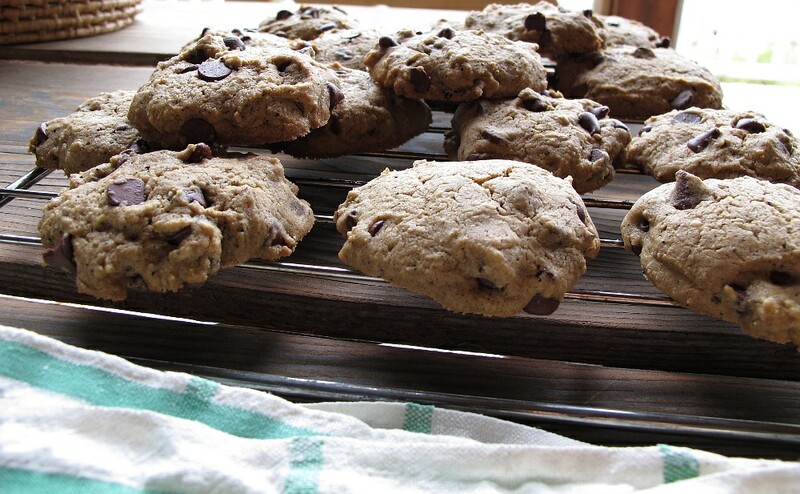 I made some organic gluten free cookies this weekend that turned out well enough I thought they’d be worth sharing. I tend to steer away from cookie recipes because of the huge amounts of sugar called for, but lately I just want some cookies! After finding a few different recipes on the web that I could relate to, I made my own variation with less sugar, some changes to the flour mixture and the addition of coffee grounds. They came out light, a little bit flaky, moist and soft, with a slight crisp around the edges – not to mention super tasty. Pretty close to perfect. 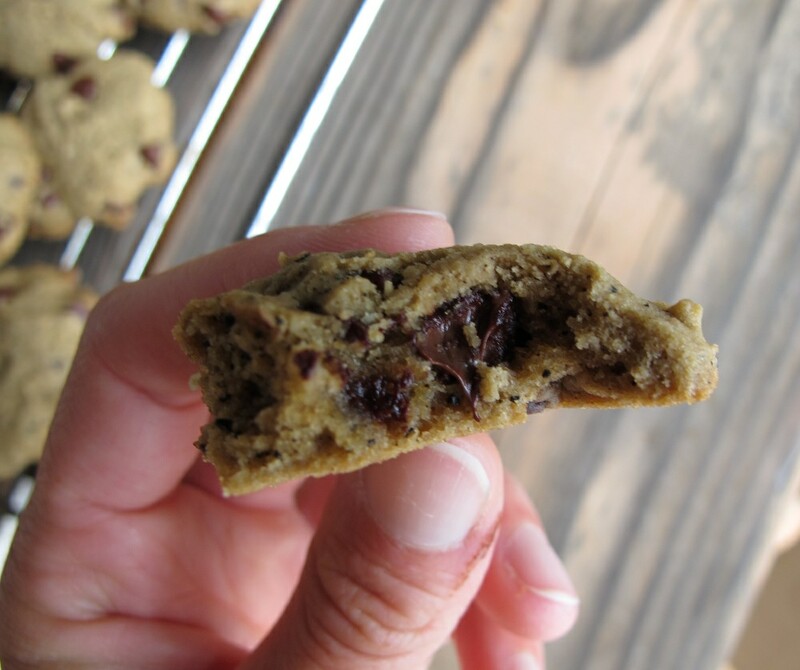 Mix together your dry ingredients, including chocolate chips, and with the exception of the sugar. Cream the softened butter with the sugar, maple syrup and vanilla extract. Add the eggs to the butter mixture and stir well. Now combine everything together and mix well. Spread your cookie sheet with oil, or cover with parchment paper. Since we don’t cook on metal, I used oiled glass bake pans. Spoon dough onto the pan, spaced about 1.5 – 2 inches apart. Bake for 9-15 minutes, depending on how you like them, and what kind of pan you cook them on. On glass, I cooked mine for close to 15 minutes. Glass takes longer to heat than metal though, so set your timer for 9 minutes and then keep a watch on them. When they are done, make sure to eat some right out of the oven! When they fully cool, they are a soft cookie, and I am happy with how well they retained their moisture. Next time I will try adding twice the coffee grounds and only about half the sweetener, and I’d probably add some seeds, nuts or oats for a more balanced snack. With all the chocolate chips, I think they would be sweet enough (for me) without any additional sweetener. I have heard enthusiastic mentions of these cookies at least half a dozen times today. They were a big success… and I got my cookie fix. I have always been an improvisational baker, which allows for a freedom that I enjoy, and it is fun (most of the time) to have that little element of surprise at the end. The problem is, when I get a recipe REALLY RIGHT I usually can’t reproduce it, and then I always wish I had written it down. So today, I decided that what ever I did, I would keep track. I did pretty well, although there were at least 3 instances where I forgot to pour ingredients into the measuring cup and poured straight into the mixing bowl instead… so I had to estimate the amounts on paper (this is my disclaimer). Today’s brownies turned out pretty awesome, so I thought I would share my recipe. We are not big sweet tooths, so if you are you will definitely want to up the sweetness. 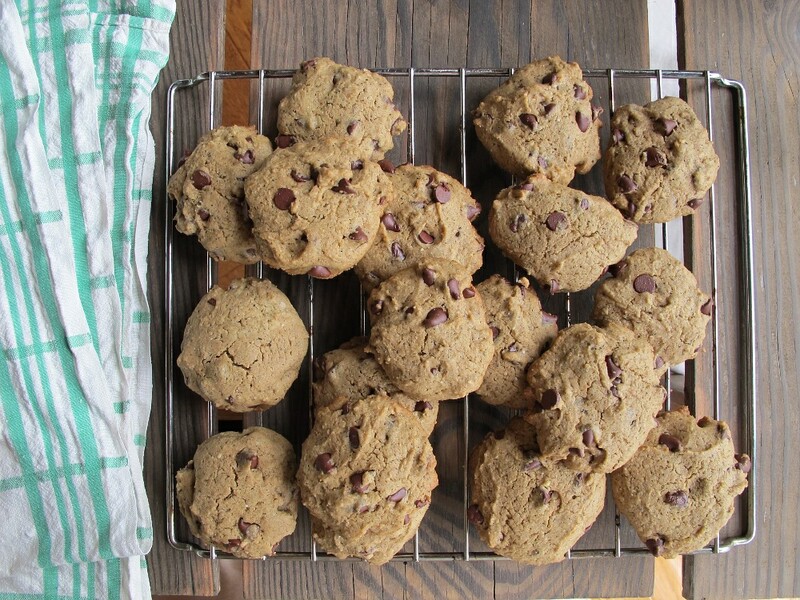 These are sweetened almost entirely by the chocolate chips. All ingredients used were organic. In a large mixing bowl, mix all your dry ingredients well. Mix all your wet ingredients together. Add the wet ingredients to the dry and stir. It will be very thick at first. I then add milk, stir, add milk, stir… until the consistency is that of cake batter. I probably used about 2 total cups of milk in the end. (I do it this way out of habit, since each recipe is different and different whole grain flours behave differently). Pour batter into an oiled and floured cake pan. I baked for approximately 45 minutes, but you should check it periodically, since all ovens can be a little bit different. To test whether they are done or not, poke a wooden toothpick in the center. When it comes out free of batter (you will find melted chocolate on it though), your brownies are ready to come out of the oven. I liked these best after they had fully cooled, and set well, but we had our first serving as soon as they were cool enough to eat. This is a hearty brownie, denser than you might be used to, very chocolaty and not so sweet.